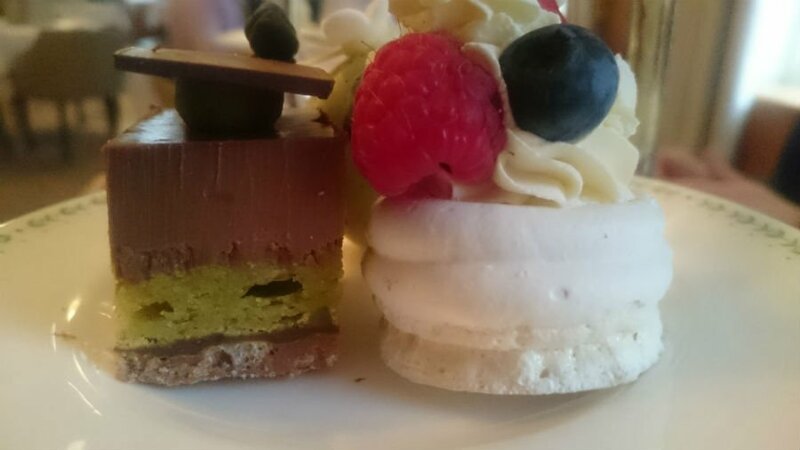 Can You Enjoy A Lady Betty’s Afternoon Tea With Children? Betty’s Tea Room is an institution in Yorkshire. 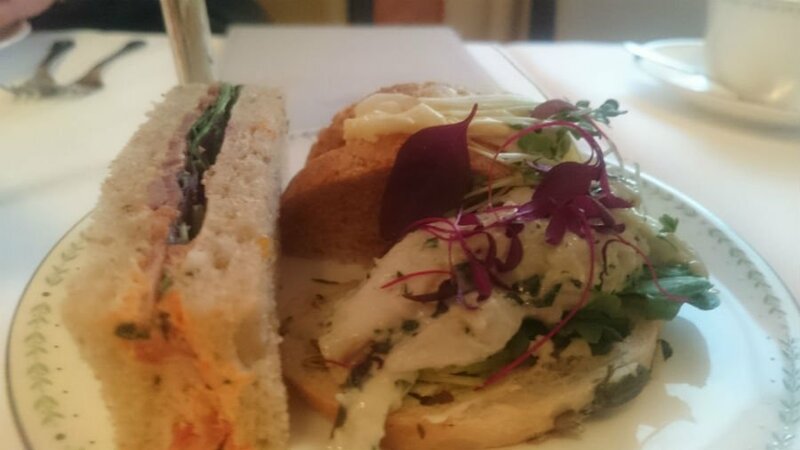 Established in 1919, Betty’s is the home of afternoon tea, and an experience not to be missed for anyone visiting Yorkshire. 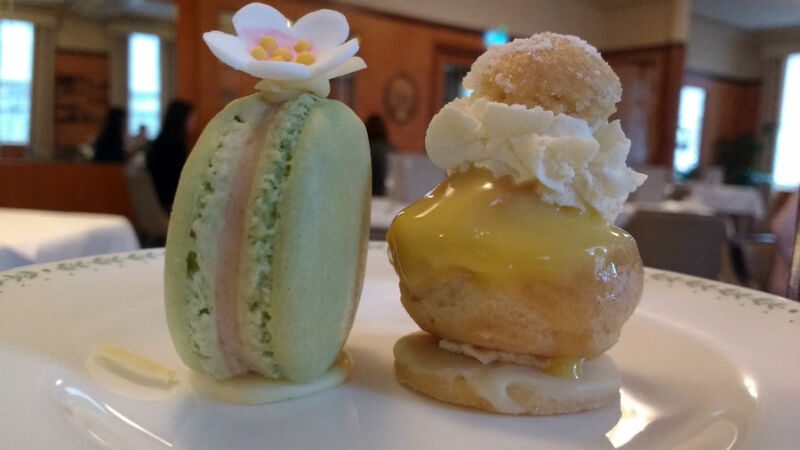 In 2015, the Lady Betty Afternoon Tea was launched promising a ‘stylish and devilishly delicious experience’ – an opulent occasion where guests are treated like kings and queens, and served afternoon tea the way it should be served. People queue for hours to experience a Lady Betty Afternoon Tea, but I had always wondered what it would be like to take young children there. Would they be catered for? Would it be too quiet? Would we be the only family there? 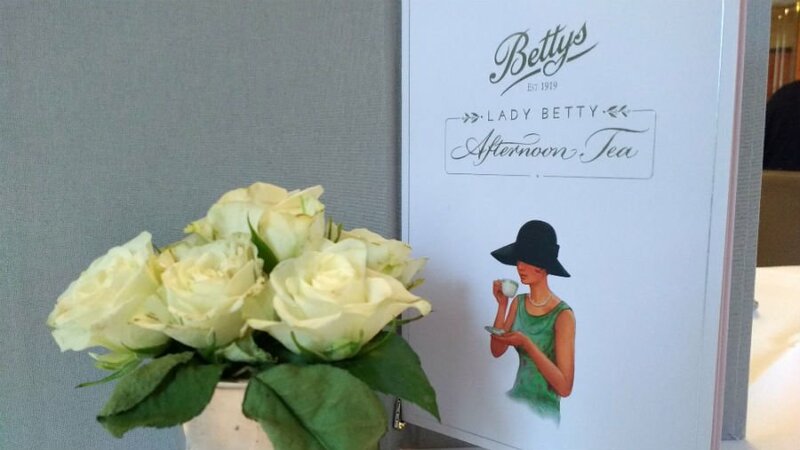 I had the opportunity to try out the Lady Betty Afternoon Tea with my 2 young boys in the Belmont Room at Betty’s Tea Room in York. 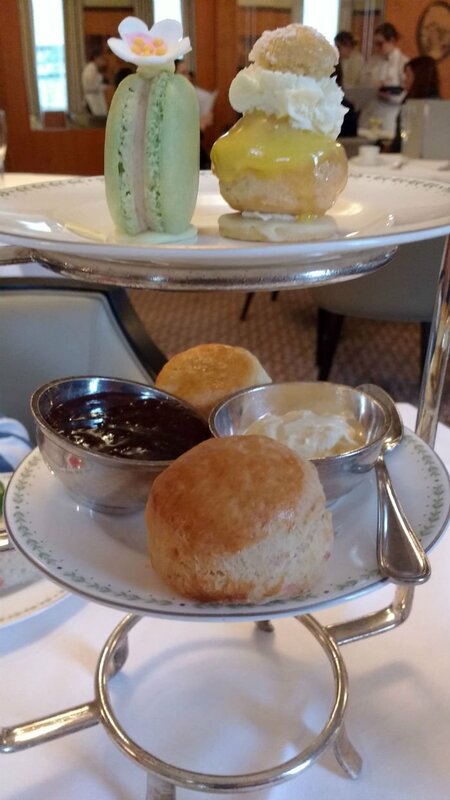 Known for their love of being outside, and unable to sit still for very long without fidgeting and needing to get up and ‘stretch their legs’, I did wonder how I’d get on with them at an institution like Bettys – but luckily I needn’t have worried. 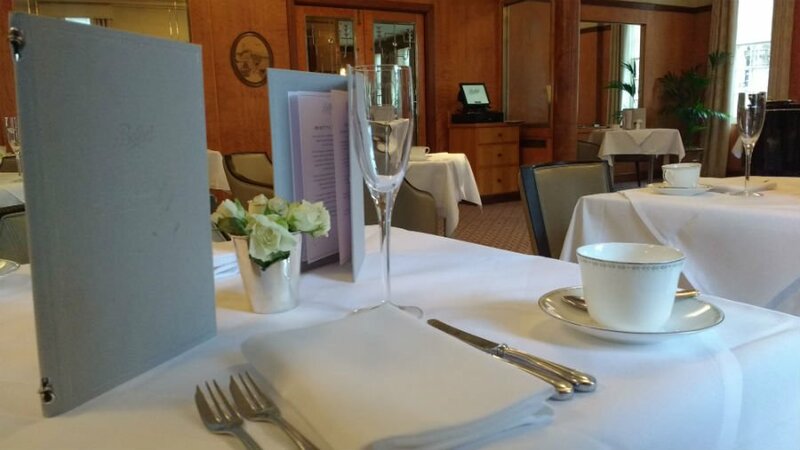 The Lady Betty Afternoon Tea at York is served in the Belmont Room – a grand room above the bustling Tea Room with decor inspired by the owner’s trip on the Queen Mary transatlantic liner in the early 1900s. We were shown to our table, where our waitress introduced herself, and then quickly took the boy’s drinks order. It was almost as if she knew that you are on a permanent time limit with young children, and they don’t like waiting. They were happy knowing that their squash was on its way, and began with the next important task of deciding what filling they wanted in their sandwich. All these treats are served on an impressive stand with little plates bursting with goodies. Whilst the boys were devouring their jam sandwiches with gusto, I was happy to listen to the wonderful pianist who was tinkling the keys, and playing the piano exquisitely. The boys were happy, and I was relaxed too. 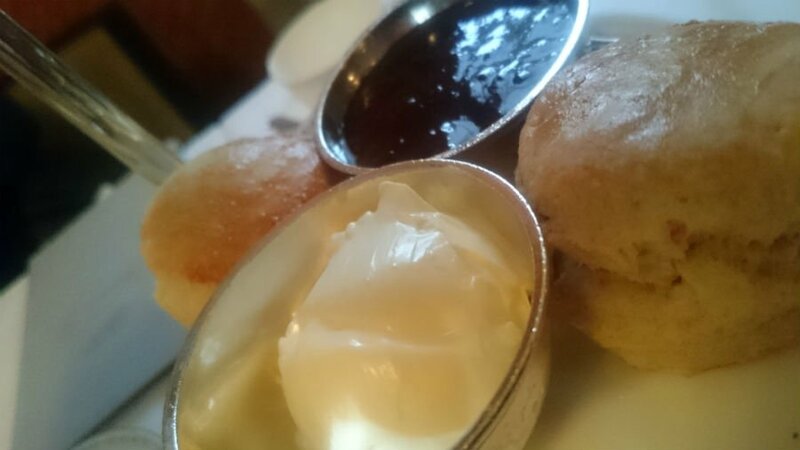 One of the main components of any afternoon tea is a good pot of tea. 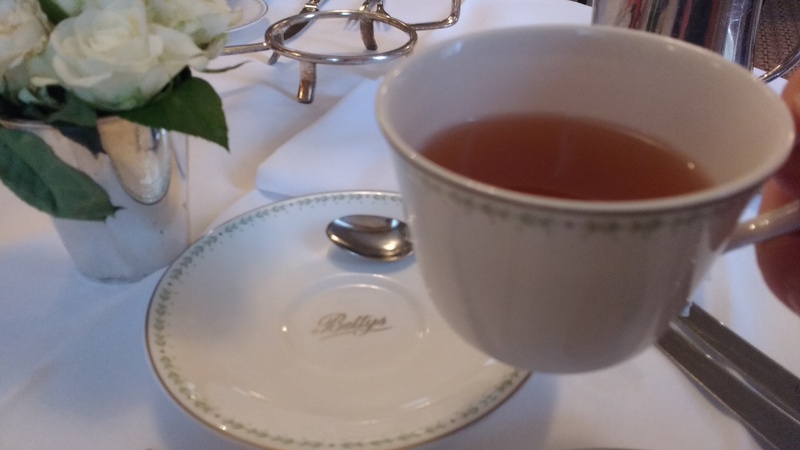 At Bettys, you can choose from a selection of 18 carefully selected teas, and try as many as you like during your afternoon tea. I started with a China Rose Petal tea, and then chose for it to be sweetened with honey. It was delicious, and it wasn’t long until I was getting into full swing of things and ordering a Lemongrass and Ginger tea. It just had to be done! There were other families in the Belmont Room too, but the tables weren’t too close together so everyone got the privacy they deserved. We could chat and interact with our boys, whilst the couple on the next table were enjoying their romantic afternoon tea with champagne. 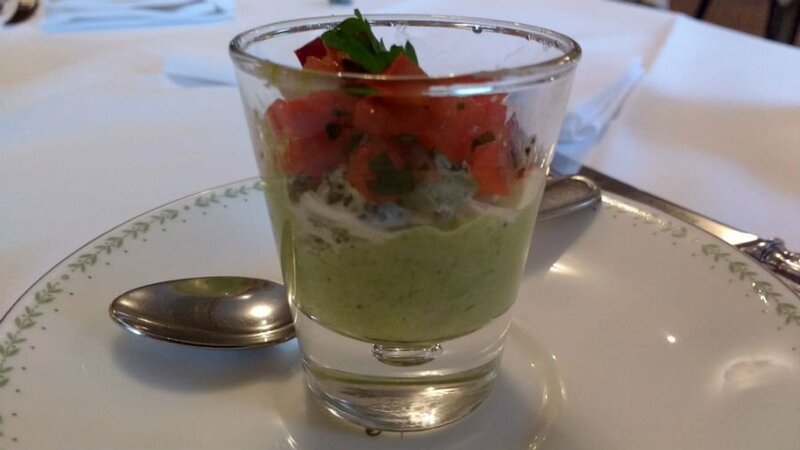 Our afternoon tea started with a delicious appetiser – a pea, tomato and cucumber cocktail. Then our afternoon tea stand arrived laden down with a selection of lemon and rose scones, jams and clotted cream, Yorkshire ham and tomato pate, chicken and tarragon and egg mayonnaise sandwiches, mini pork and apple pies and a selection of mini cakes. Our waitress explained what all the food was and we tucked in, sipping our tea too. Somehow we all managed to eat all our afternoon tea, and despite the sugar rush, the boys seemed to chill out and forget all about getting up to ‘stretch their legs’ (I’m sure it was the The soothing tones of the pianist which was responsible for that). We managed to have a few family conversations, chatted to the waitress and feeling very full and content. 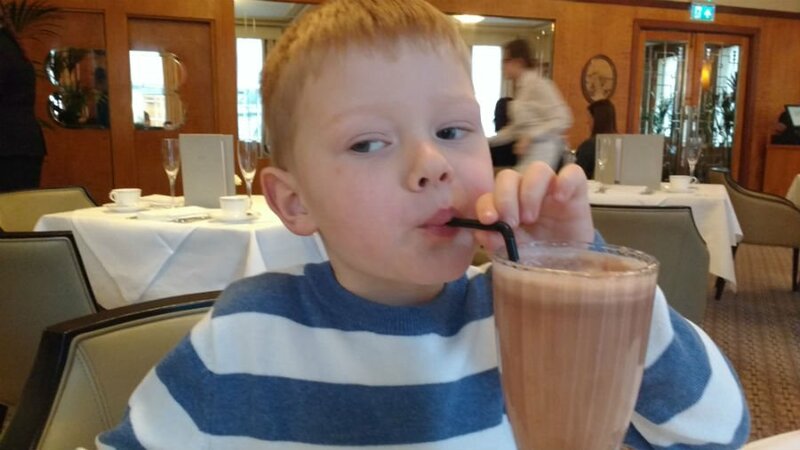 So, in conclusion, to any parent thinking about taking young children for a Lady Betty Afternoon Tea, I would say ‘don’t worry!’ Children are most definitely welcome at Betty’s, there are Children’s Menus available, and the staff are happy to chat to them and attend to their needs. There was even Baby Changing facilities in the toilets of the Belmont Room. It is an unmissable treat for any families visiting Yorkshire. 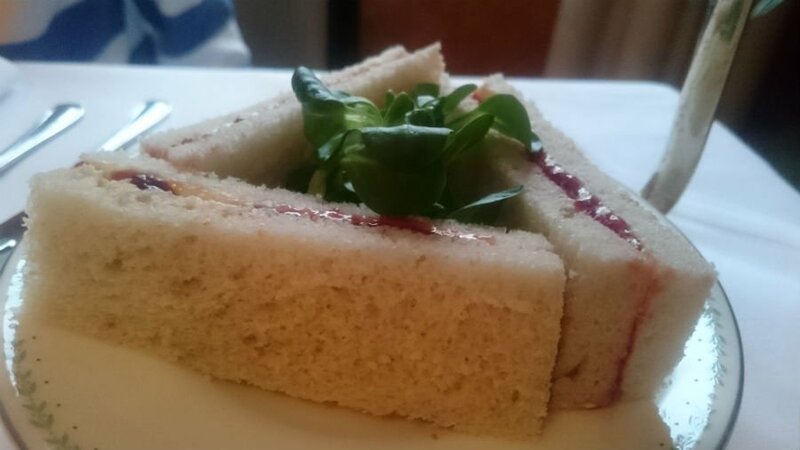 A Lady Betty’s Afternoon Tea costs £32.95 per person. 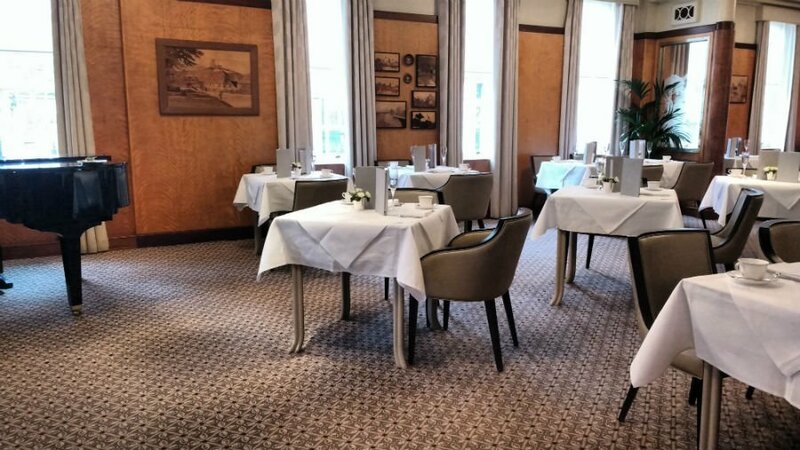 It is served in the Imperial Room at Harrogate on Thursday, Friday, Saturday and Sunday and in the Belmont Room at York on Thursday, Friday, Saturday, Sunday and Monday.